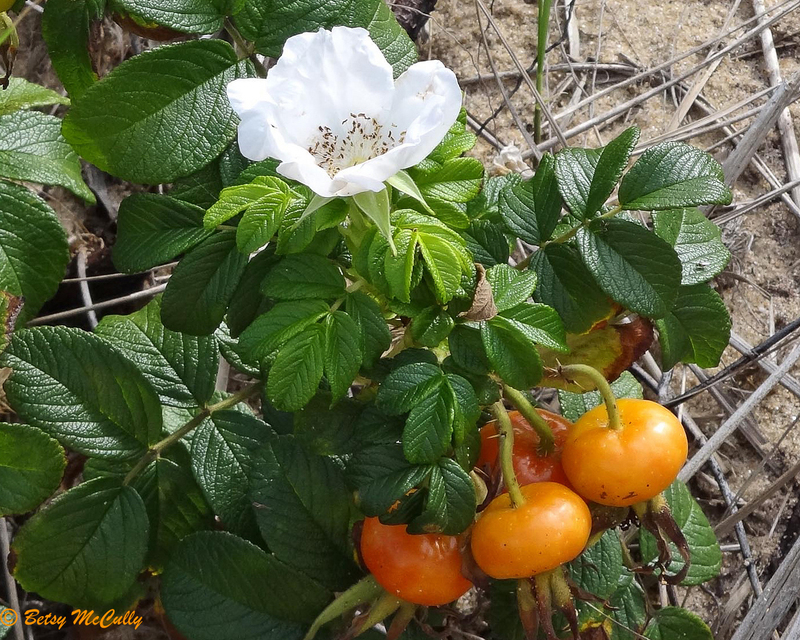 Beach Rose (Rosa rugosa). Rosaceae family. Also called Wrinkled Rose referring to leaves. Introduced, naturalized. Throughout. Long Island, 2015. Flowers can be white or pink. Rose hips orange or red.